Abdominoplasty, or “tummy tuck,” is a surgical procedure designed to treat loose skin, damaged muscles and excess fat throughout the abdominal area. An expertly and artistically performed tummy tuck will give your abdomen a flatter, firmer appearance. 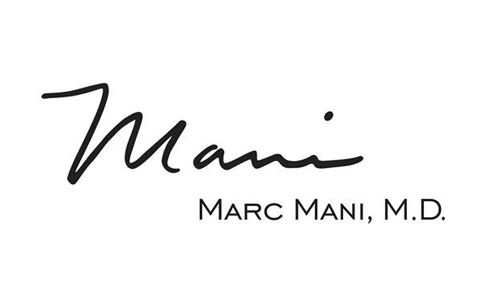 With advanced training and many years of experience sculpting beautifully proportioned physiques, Dr. Marc Mani is the plastic surgeon of choice for individuals seeking tummy tuck in Beverly Hills. One critical principle Dr. Mani applies to tummy tuck surgery is that every patient’s abdomen is different, so no one procedure fits every situation. He therefore designs each tummy tuck procedure differently for every patient. What Does Tummy Tuck Correct? During the procedure, the abdominal wall muscles are tightened, and excess fatty tissue and loose skin are removed to produce a narrower, smoother abdomen. Am I a Candidate for Tummy Tuck? Tummy tuck candidates are generally in good physical and psychological health and free of any uncontrolled medical issues that could raise the risk of surgical complications. Candidates should not smoke, or be willing to quit prior to surgery. Tummy tuck is not intended to be a weight loss tool. Candidates should be at, or close to, their ideal target weight, and be committed to maintaining their weight after surgery. Future weight gain or pregnancies could reverse the effects of surgery and promote further abdominal stretching. If you are unhappy with the way your abdomen looks, and would like to discuss whether you are a suitable tummy tuck candidate, Dr. Mani encourages you to schedule a consultation with him. Please call (310) 203-0511 today. During consultation, Dr. Mani and our team will take down your complete medical history and conduct a careful examination to get a clear picture of your current health status. You should give Dr. Mani a list of all over-the-counter and prescription medications you take, and disclose any previous abdominal surgeries. Once you have scheduled your surgery date, you will receive detailed instructions that explain how to prepare. You will need to avoid certain medications (e.g., aspirin) that could raise the risk of complications. You should also get plenty of rest and eat nutritious meals to ensure your body is at its peak condition going into surgery. Tummy tuck is performed on an outpatient basis. Anesthesia is used for your complete comfort. Depending on the degree of correction necessary, surgery could take two to five hours. Dr. Mani will begin surgery by making a U-shaped incision from hipbone to hipbone (right above the pubic hairline). This incision will be placed low, so that any scarring will be concealed beneath underwear or a bikini. Dr. Mani will usually also make a second incision encircling the navel. The skin will then be separated from the abdominal wall to enable Dr. Mani to make the necessary surgical modifications. He will repair weakened or separated abdominal muscles and place internal sutures to hold them in place. He will remove excess skin and fat, and re-drape the remaining abdominal skin more tightly over the abdomen. He will also reconstruct the navel. When Dr. Mani is finished, he will close the incisions with sutures and apply firm elastic bandages to the area. He may place drains to eliminate fluid buildup during recovery. Bruising and swelling are common immediately following tummy tuck surgery. Any discomfort can be alleviated with oral pain medication as prescribed by Dr. Mani. Our team will provide detailed instructions for caring for the incisions, changing the dressings and showering after surgery. A support garment may be required to support the abdominal tissues as they heal. During your recovery, Dr. Mani will follow up with you several times to check your healing progress. He will remove your surface stitches five to seven days after surgery. He will advise when to return to work, exercise and other normal activities. In general, you should allow at least two to four weeks to recuperate before returning to work. During this time, get plenty of rest and avoid any strenuous movement. Keep in mind that everyone recovers at a different pace, and it’s important not to overexert your body as it heals. The speed of your recovery depends on your physical condition prior to surgery; those with stronger abdominal muscles tend to recover faster. Scarring is normal, and will fade with time. It often takes nine to 12 months before tummy tuck scars begin to fade. Though the tummy tuck recovery period is usually longer than that of other cosmetic procedures, the rewards are well worth it. After recovering from tummy tuck, you will enjoy a firmer, flatter abdomen and an overall more attractive physique. You will likely experience a boost in your self-esteem and feel more confident at the beach, pool and gym. In order to enjoy the results for many years to come, it’s important to follow a proper exercise routine and a healthy diet. To learn more about tummy tuck surgery and how it can improve your appearance and your self-confidence, please contact Beverly Hills abdominoplasty surgeon Marc Mani. Call our office at (310) 203-0511 or send us an email today.